Lewisburg, Ohio will be celebrating 200 years of existence in 2018 – which is something we all are fortunate enough to experience. Decades of history, growth and development have been changing the community we live within, as well as shaping our perception of the future. 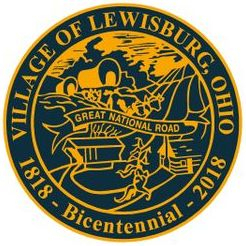 It’s not every day that you get to celebrate your 200th birthday, but in September 2018, the Village of Lewisburg will reach this milestone and plans are already underway to commemorate the occasion. Even though September 2018 seems far away, we are starting to create a full schedule of events to mark this milestone occasion; therefore requiring a great deal of advance planning. We are seeking to establish subcommittees to work on various aspects of several events. Organizers are working to include the Harrison Township community in this event as well. We are looking for creative suggestions to help benefit this extremely important project, so please, invite a friend to take a part in this meeting and celebration. 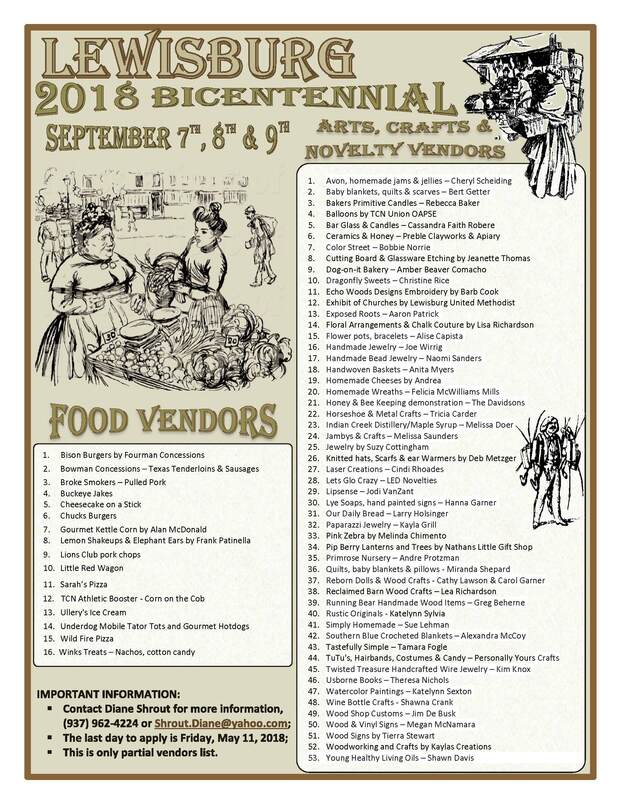 Lewisburg's 2018 Bicentennial Celebration aims to honor our Village’s 200-years of history, and the businesses and organizations would represent what Lewisburg is all about. We would like to invite you to attend one of our 2018 Bicentennial Informational Meetings, which fall on the third Monday of every other month. The meetings will be located at the Tri-County North Lewisburg Community Center, 261 E. Clay Street, at 6:30 p.m. The meetings will include discussions on the various activities and events that will be planned for the duration of the celebration, and we would like to have businesses and organizations, as well as any individual from the community join in to make this celebration successful. This would be a voluntary group of people who seek to focus on Lewisburg’s history, as well as the new developments that have taken place since the Centseptuaquintennial Celebration in 1993. We as a group are striving to build our community, and keep making Lewisburg the best it can be. Your participation will help preserve the milestones and memories made for generations to come. 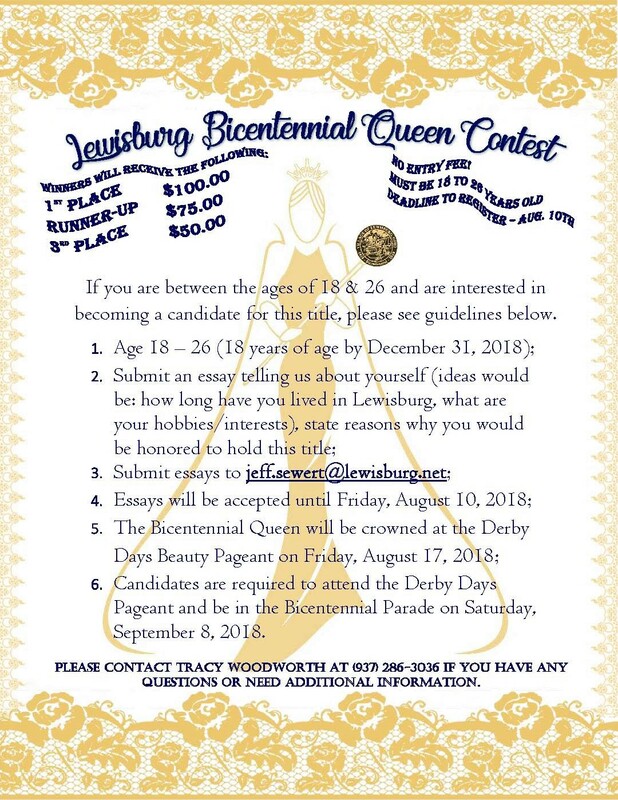 If you have any questions or would like to contribute to this upcoming 2018 Celebration, please contact the 2018 Bicentennial Committee President, Pam Baker at (937) 962-2190, or you may contact Jeff Sewert, Vice President and Municipal Manager for the Village of Lewisburg at (937) 962-4377. 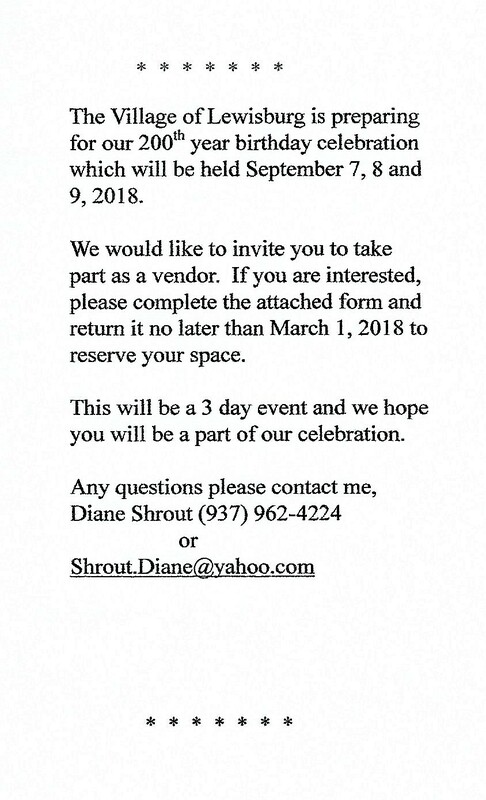 In addition, we are asking that if you are interested and would like to be involved, to please provide your contact information, most importantly your e-mail address and phone number. This will enable us to provide everyone with the same information via e-mail, keeping everyone on the same page and in close contact when it comes to updates, upcoming meetings, etc. Fundraising, Advertising/Flyers Website (Commemorative Gold Coin, Wooden Nickel, T-shirts, Afghan, Flag, Monopoly Game, Horn Books, Wooden Blocks, etc. Entertainment, Music, Plays (Assisting Lewisburg Historical Society on Reenactments and Living History Projects), Fireworks, Music, Plays, etc. All merchandise proceeds will go to support Lewisburg's Bicentennial Celebration coming in September 2018. We are gearing up for Lewisburg's Bicentennial Celebration in 2018!! 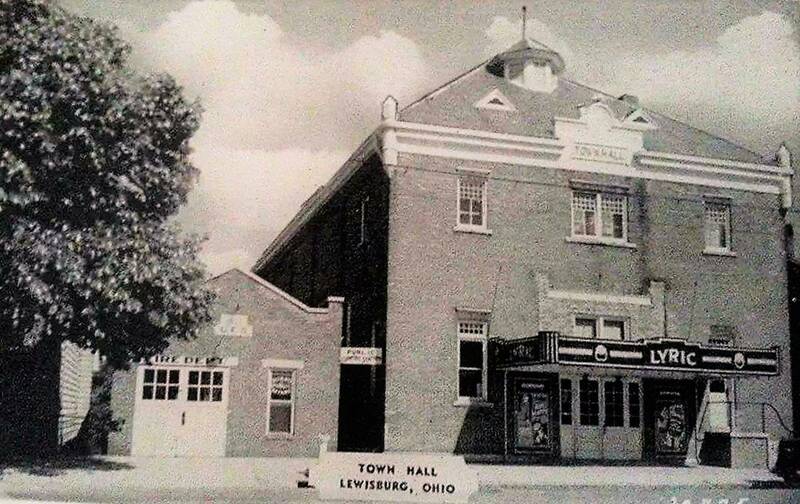 We're looking for pictures and videos of people and events from Lewisburg from the 1800's all the way up to current days. If you would like to share these for the Bicentennial, please send to [email protected]. A time can also be setup to scan these for you.